Prior to this, Mace served as the Deputy Director of CCST and Associate Director of the UC Davis Policy Institute for Energy, Environment and the Economy. 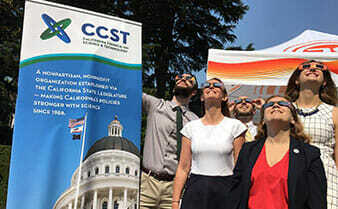 She also served as the executive director of the California Ocean Protection Council (OPC) and assistant secretary for coastal matters at the California Natural Resources Agency. In this role she applied her background in ocean policy and marine ecology and collaborative leadership skills to guide the state in developing policies that promote the sustainable use of California’s ocean ecosystem. Prior to that, she served in the dual roles of science advisor to the OPC and executive director of the California Ocean Science Trust, a non-profit whose mission is to provide objective, high-quality science to decision makers.